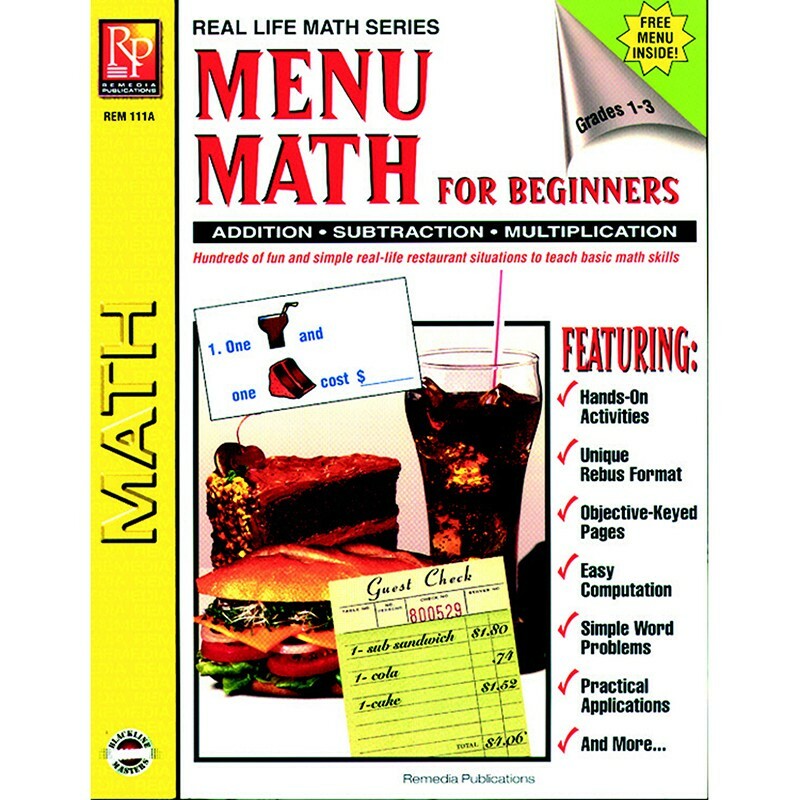 Reinforce your basic math program with our Real-Life Math book! This fun and effective book teaches simple addition, subtraction, and multiplication through the use of real-life situations. Students will have a great time as they refer to the colorful menu to figure costs when spending money at a restaurant. From pizza to pancakes, the easy-to-read price list generates hundreds of simple rebus and word problems sure to improve any student's math skills.